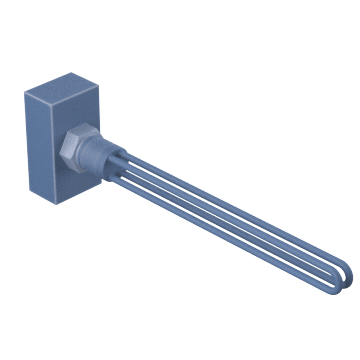 Mount these heaters securely to industrial tanks and other vessels using a threaded opening in the wall. 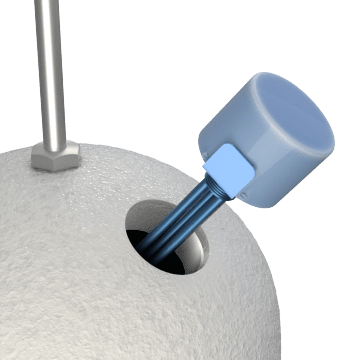 They can also be screwed directly into a pipe that carries liquid using a coupling. 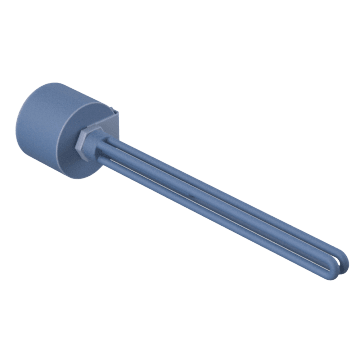 The heating element is brazed or welded onto the threaded plug. Heat pure or deionized water for use in cleaning and rinsing parts, freeze protection, and sprinkler systems. Heaters without thermostats require an external overtemperature or flow switch, or some other safety device. Use these to heat oils to the proper viscosity. Copper heaters can only be used with low-viscosity oil. Steel heaters can be used with low- to high-viscosity oil. Made of stainless steel, these heaters are good for heating corrosive liquids, air, and gas mixtures. They can also be used for generating steam. 316 stainless steel heaters withstand corrosion better than 304 stainless steel heaters.